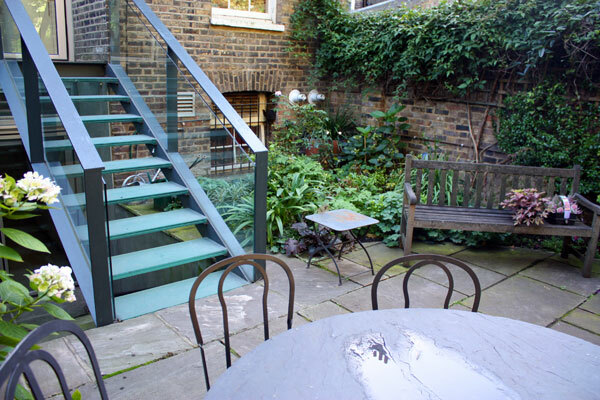 The client had recently installed an ultra-modern glass extension to the rear of the property and was looking for something a little different in the garden as well. 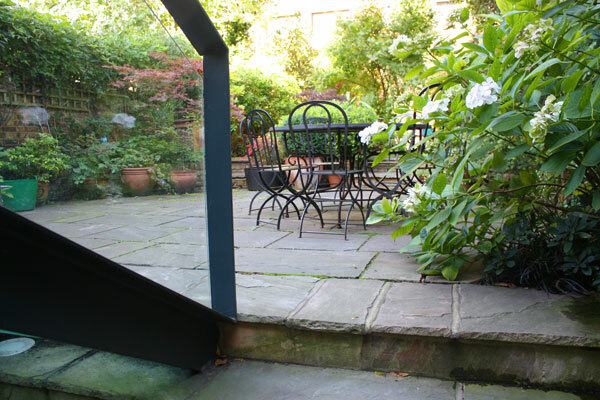 A series of connecting rooms was designed united in plant choice and paving materials. 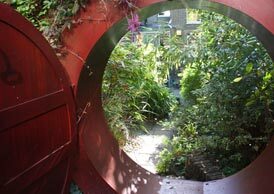 A simple circle pattern really makes the most of the space with the circular retaining wall also acting as a seat between the levels. 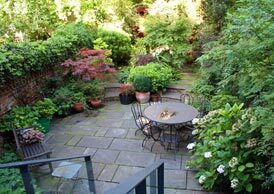 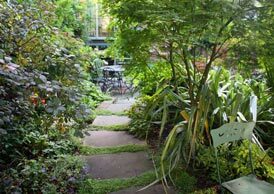 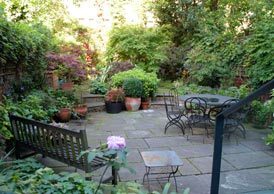 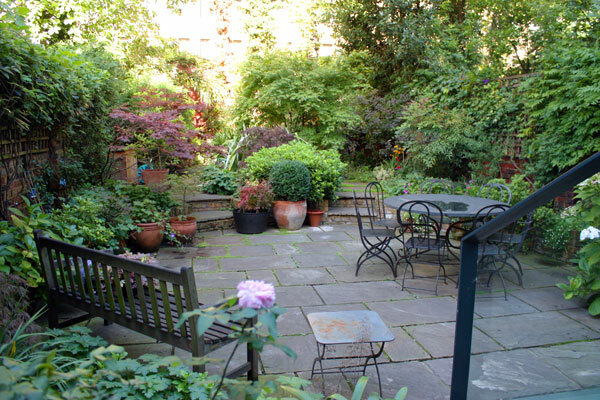 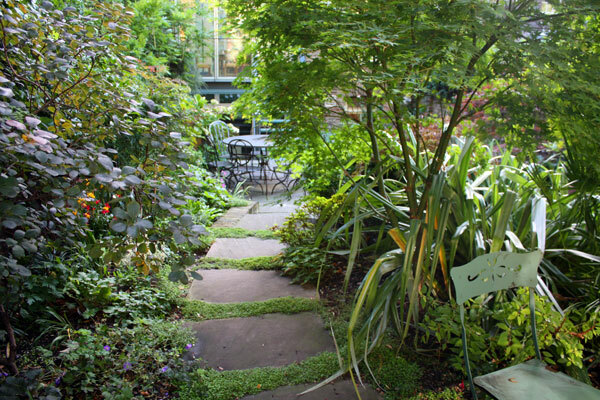 The plant choice accentuates that secret garden feel with the Japanese Maple taking centre stage. 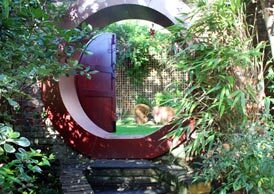 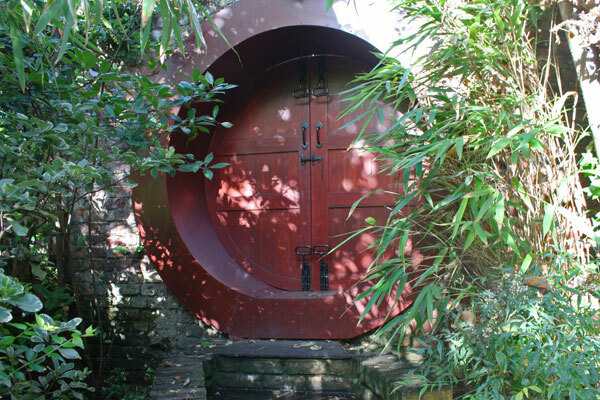 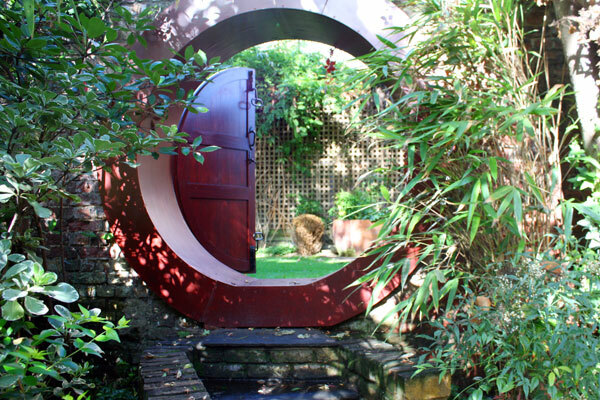 The moongate door brings the circle theme into the vertical plane and provides a striking focal point at the rear of the garden. 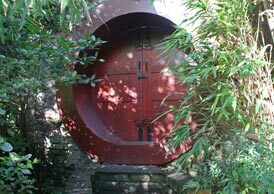 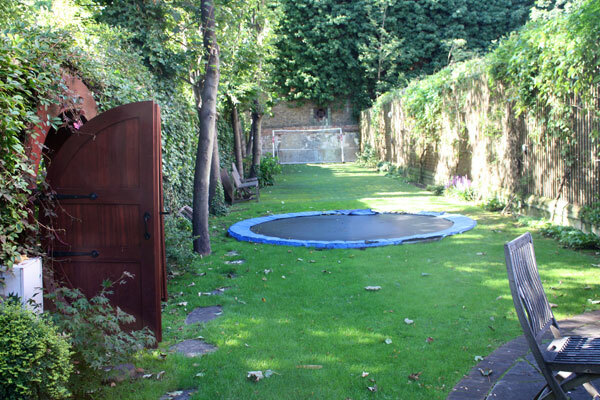 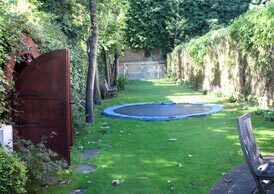 This door leads out onto a community play area providing a magical quality for the children to run through.